Last month I did a Time Management Tuesday post on content marketing calendars and how I use one to organize the marketing of my blog. (That reminds me, I haven't made this week's yet.) I referred to an Author Marketing Experts, Inc. blog post by Frances Caballo called Social Media in 15 Minutes a Day. She provides a four-step process to help writers keep their social media marketing time down to 15 minutes a day, instead of, maybe, all day. I really only addressed Step 2, scheduling. So I thought I'd say a few words about the others. This is essentially collecting material to write about and writing about it, so you can share it. As a general rule, I don't have to spend a lot of time looking for material to write about. I feel a little kinship with Michel de Montaigne on this point. You just can't shut us up. I'll be writing about Montaigne here next week. I rest my case. It does take me more than 15 minutes to do a blog post, but I try to do them in the evening, so I'm not cutting into my work time. 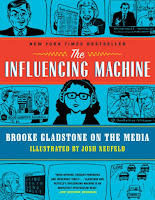 Book covers, yours if you're writing about yourself, other authors' if you're writing about your reading. Pictures of yourself at events. 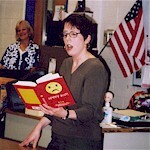 Pictures of other authors at events you attend. Personal pictures if they illustrate a point in your post. Touristy pictures to go along with your descriptions of your time at touristy writer retreats. The possibilities are endless. I have to wonder what Michel de Montaigne would have done with a camera. If you've been using images in your blog posts, you can attach them to your tweets. Images make tweets pop. Which is what they do to blog posts, too. 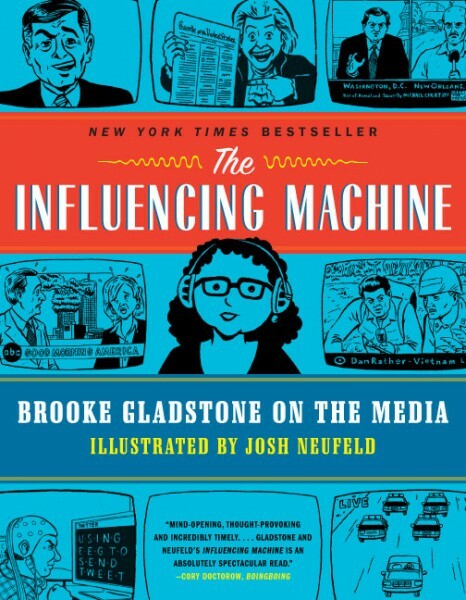 In The Influencing Machine, Brooke Gladstone says that media has a visual bias, because "News that has a visual hook is more likely to be noticed." With our social media, we want to take advantage of that visual bias. I think this is where many writers slip up with social media. They post and run. They treat their blog like an announcement page. They don't check to see if they've had any commenters or respond to them. They don't develop community. If you're part of a Facebook community, like or comment on other people's posts now and then. If you're active on Google+, make a point of scrolling down the page to check out a few things of interest. Comment or +1 something that interests you. By the way, doing things like that provides you with material for blogging and tweeting. And it builds community. That is the point of social media, not to just have some little thing you wrote out on the Internet so that maybe somebody will find it someday. Keeping track of what posts bring in the most readers will help writers make decisions about what subjects to blog about. I don't focus a lot on this, because of that business about not being able to shut up I mentioned under Curation. But I can see the logic of doing this. I do check my blog stats regularly, though in my particular case it's hard to tell what drives a spike in visitors. It's easier to see what attracts attention on Twitter or Google+, since retweets and +1s are easy to find. I've noticed, however, that tweets and +1s don't necessarily correspond to higher blog stats. What's interesting about that is that I've read you should never share something you haven't read. I'm actually afraid to do that. If I haven't read it, I don't know if I want to share it. It's nice if tweets and +1s bring extra readers to the blog. My theory, though, is that they are good in and of themselves. Someone is spreading my name around. While I am putting a lot of focus on the content marketing calendar Caballo described in Step 2, I do do the other three steps in her program to some degree. Which suggests other writers could choose to put their primary focus on just one or two steps as well.